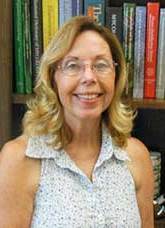 By Kathy S. Lawrence, Ph.D.
Summary: Nematodes have become an increasingly important disease issue in cotton production will likely increase in the future. This presentation will help consultants, county agents, growers, and other practitioners in the Southern U.S. cotton-producing states to understand more about plant parasitic nematodes, resistant cultivars, nematicides, rotations, and cover crops, which are widely used in cotton production. Specifically in this presentation, practitioners will learn: how much cotton yield loss is due to Root-knot and Reniform nematodes; the benefit of adding nematicides to high yielding cotton cultivars; and the advantages of crop rotations to reduce nematode population densities. By the end of this presentation, the practitioner should know more about the general use of nematicides, cultivar selections, and crop rotations and how to utilize them to achieve optimal cotton yields.